Here is your opportunity to own a fantastic Bear Creek Meadows ranch! 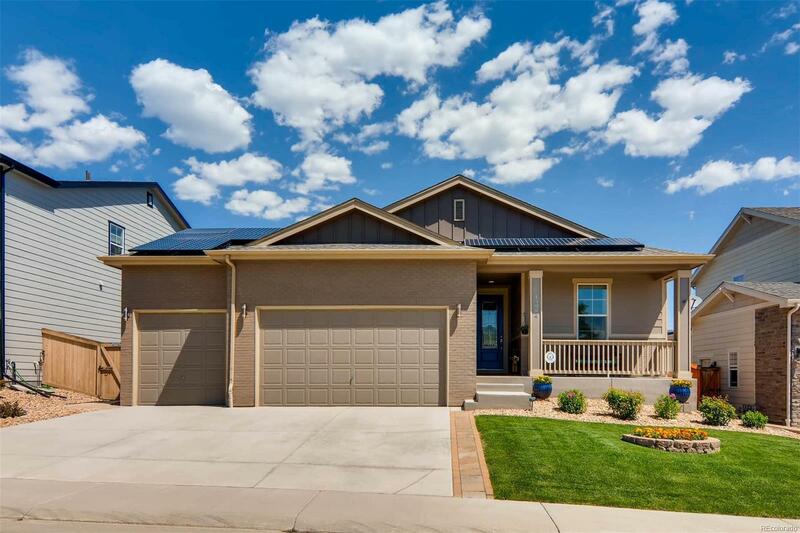 This gorgeous, open and bright home features 9 foot ceilings, 8 foot doors, granite counter tops, stainless steel appliances, 42 inch cabinets, under cabinet lighting, soft-close cabinets, leaded glass front door, low e windows, security window well covers and a pre-wired security system. Large master bedroom with a full master bath that features corian counters and travertine tile. There is a full unfinished basement with rough-in to allow you to add your own touch. Enjoy the outdoors as you adventure on the custom stamped walkway that guides you through professional landscaping and leads to your concrete patio. Solar panels give you the ability to lower your utility bill! Terrific neighborhood situated close to the foothills, Red Rocks, Bear Creek Park, Weaver Hollow Park/Pool, shopping, transportation and an elementary school is just down the street. This is the home you've been looking for!